Diet sodas have become a popular alternative to high-calorie, sugar-laden beverages. According to the University of Texas Health Science Center, 59% of adult Americans report drinking diet soda regularly, to assist with weight control by decreasing calories and to reduce sugar consumption. However, recent research studies now indicate that diet drinks may not aid in long-term weight loss, and may have side-effects as well. Most experts feel that diet soda will be found to be healthier than drinking regular sodas which contain sugar. However, it is far from clear that diet sodas do not cause harm. For example, the University of Texas study reported that those who drank diet soda, compared with participants who did not, had an increased waist circumference. While the study did not point to specific reasons for the waist increase, various experts surmise that people may overcompensate when drinking diet sodas by eating other high calorie foods. According to the National Institutes of Health, measuring waist circumference is one of the screening tools for possible health risks associated with obesity. Individuals are often at a higher risk for heart disease and Type 2 diabetes if most of their body fat is stored around their waist. Hence, research suggests that consumption of diet soft drinks may have some unintended negative effects. The higher acidity levels found in diet sodas may be detrimental to our teeth. Diet sodas contain citric or phosphoric acid, which wears down tooth enamel. This thin, outer covering of our teeth is the first line of defense against tooth decay and cavities. Using a straw may help alleviate the effects of acidity levels on tooth enamel. Also, brushing your teeth should be done about an hour after drinking diet soda because the acid temporarily softens tooth enamel and makes it prone to damage from immediate brushing. Moreover, the phosphoric acid found in diet and regular colas can affect your bones. When there is a higher than normal amount of phosphorus and not enough calcium in bones, the natural balance in our bodies can be disturbed resulting in a loss of bone density. In fact, a study at Tufts University in Boston showed a link between cola consumption and low bone mineral density in women, regardless of age or calcium intake. While there are legitimate concerns about diet drinks, the Mayo Clinic says moderate consumption of diet soda (a can or two a day) “isn’t likely to hurt you,” but warns that diet sodas contain no nutritional value. 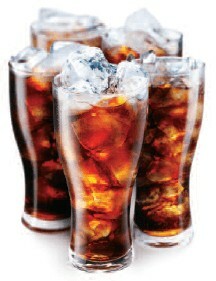 Because diet sodas contain no calories, some people feel justified in drinking large quantities on a daily basis. Caffeinated diet sodas can lead to a so-called “diet soda addiction.” A 12 ounce serving of diet cola contains 46 milligrams (mg) of caffeine… the most consumed stimulant in the world. Most physicians recommend limiting caffeine consumption to 250-300 mg per day. Four or five servings of diet cola places someone right near or above that limit, not taking into account other sources of caffeine consumed throughout the day. There are a variety of healthy, low-calorie beverage alternatives to drink, including seltzer waters, flavored waters, or unsweetened herbal tea. With these, you can be reassured they are better for you, with none of the concerns that accompany diet sodas. The post Diet Soda appeared first on Specialdocs Consultants.